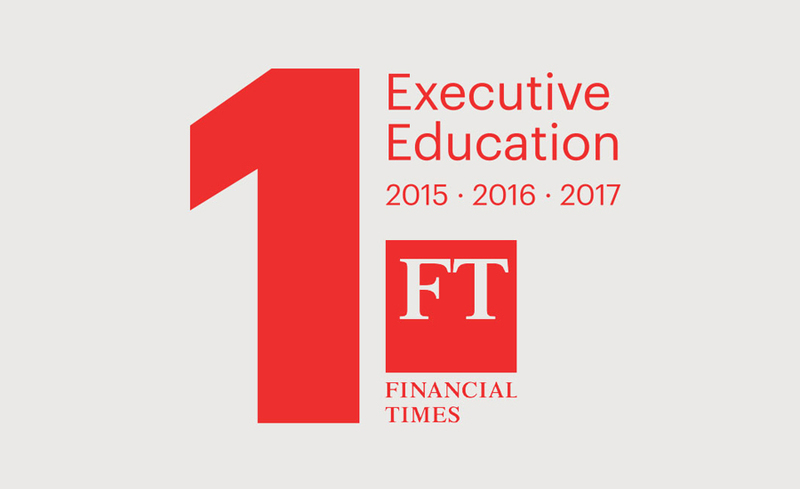 IESE’s Executive Education Programs have been ranked the best in the world for the third consecutive year by the Financial Times, thanks to their outstanding quality, their international reach and their stellar faculty. The 2017 performance was unmatched by other business schools: first overall, first in custom programs and second in open programs. The FT ranks custom and open programs separately, and then produces an overall rating for all Executive Education. With these results, IESE has again come the closest of any school to topping both custom and open programs rankings since the survey was launched in 1999. IESE’s Custom Programs, which are tailor-made courses for organizations, was ranked number-one for the third consecutive year. The programs earned top praise across all areas, with clients particularly valuing the diversity of IESE’s faculty and the range of new skills acquired. Recent clients include Abertis, BMW, Enterprise Ireland, Erste, Gas Natural Fenosa, Henkel, Michelin, Oracle and Telefónica, among others. Open Programs earned the second spot worldwide for the second year in a row. Participants valued the school’s follow-up, including networking with other participants, its international locations, and its strong alliances with top business schools such as Harvard, Wharton and CEIBS. Open Programs are taught from IESE´s campuses in Barcelona, Madrid, New York, Munich and Sao Paulo. According to Associate Dean of Executive Education at IESE Mireia Rius, ranking number one for the third consecutive year confirms the confidence placed in us from our alumni, participants and corporate clients. At IESE we believe that developing managers should involve a combination of elements: a high degree of personalization that incorporates the latest technological and academic innovations; the knowledge and research of a faculty highly involved in the learning of participants and companies; and a truly global experience, she added. IESE provides an intense learning environment–both face-to-face and virtually–for managers and companies to interact and grow, all combined with a profound belief in how they can contribute to building a better world. This is especially important as we face a changing and uncertain global context, which forces us to rethink the rules of the game in corporate environments, according to Rius, who is a member of the schools Executive Committee. The other schools rounding out the top three are IMD in second and Harvard Business School in third position. The Financial Times ranking is based on survey responses from custom program clients and open program participants, combined with data provided by the business schools themselves. There are a number of factors that are considered when compiling the ranking, such as program preparation, course design, international participants and location, faculty, follow-up and aims achieved. Among IESE’s top-rated offerings are the Advanced Management Program (AMP), with international editions in Brazil, Germany, Poland, Spain and the U.S.; the Advanced Management Program in Media (AMP in Media) in the U.S.; the Program for Management Development (PMD), offered in Brazil, Germany and Spain; the Global CEO Program (GCP), with modules in China, the U.S. and Spain and run in conjunction with CEIBS and Wharton; and the Global CEO Program for China (GCP China), run in partnership with CEIBS and Harvard Business School.